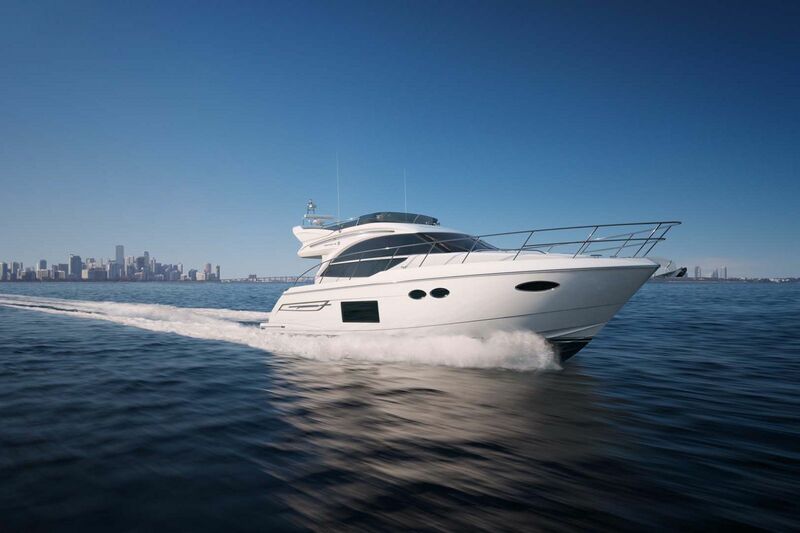 While it hasn't yet made it to the United States, the new Princess Yachts V78 will soon become the flagship of the popular V-series model line. 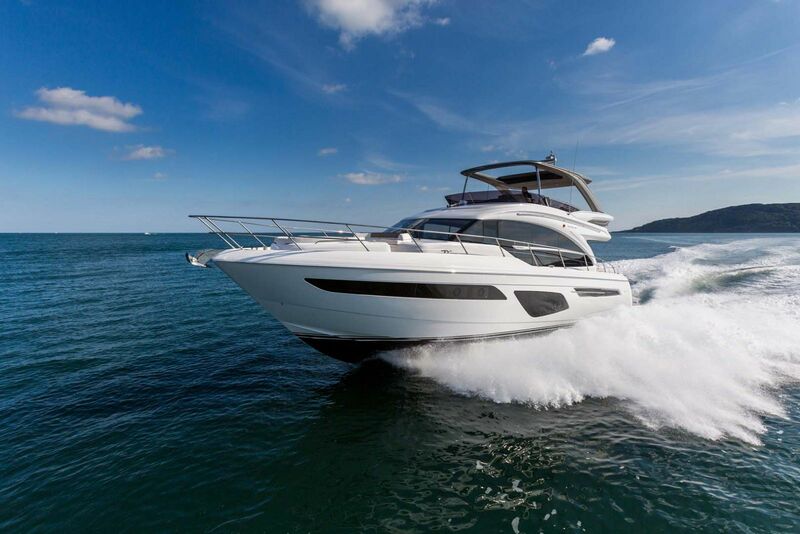 Similarly to how Princess has extended its flybridge line with the X95 Super Flybridge, the V78 is certainly an over-sized version of the v-class express yachts that have sold so well worldwide. Take something people like and make it bigger, the designers at Princess may be on to something! Owners will enjoy the central access from the hydraulic swim platform that leads you between two sun lounges into the aft cockpit which is configurable based on your needs. The aft cockpit, salon, galley, and dining area are all on the same level which creates a wonderful vibe when friends and family are on board. Open up the aft doors and the electric roof and you have one very large and luxurious platform to enjoy with the benefits of both the outdoorswhile inside. Below deck, eight guests will enjoy four large en suite cabins, all bathed in natural light from her contemporary hull windows and a further twin cabin aft for occasional guests or crew. With twin MAN V12 engines taking you up to 39 knots, she is power performing with elegance in our finest V Class experience. For more information ont his model, please contact your SI Yachts Sales Professional today.